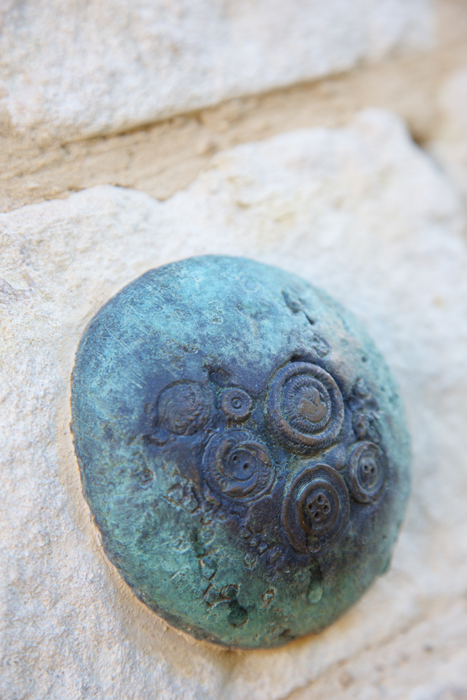 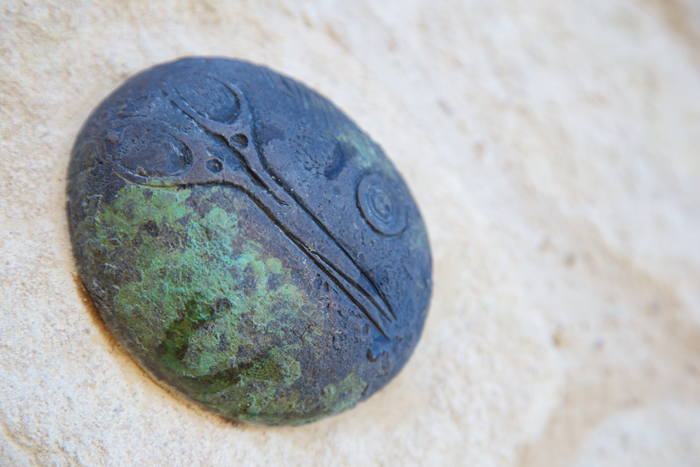 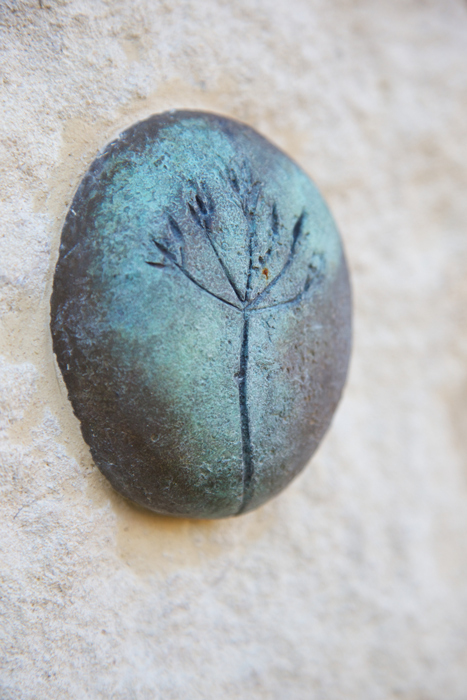 Cast bronze pebbles by local artist Clare Day. 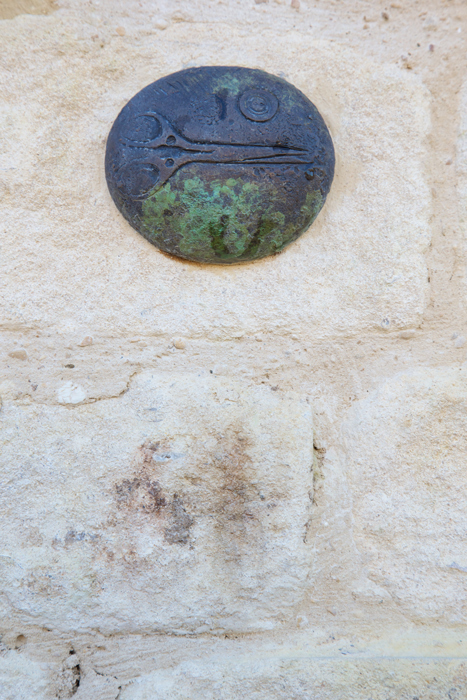 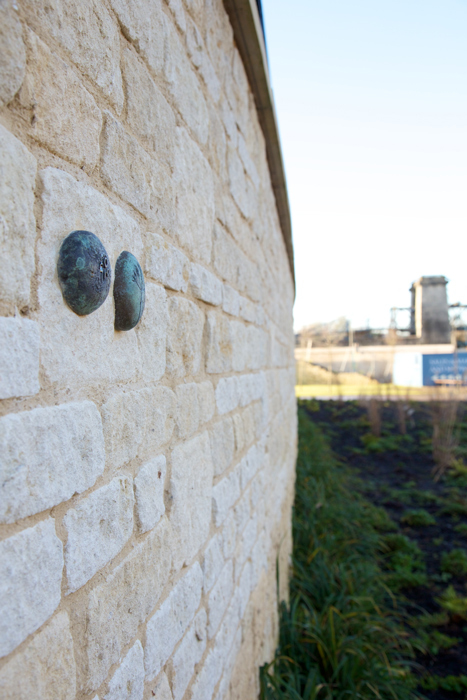 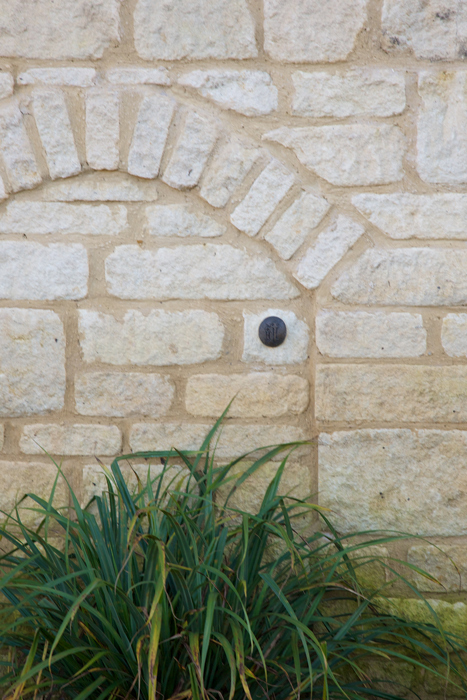 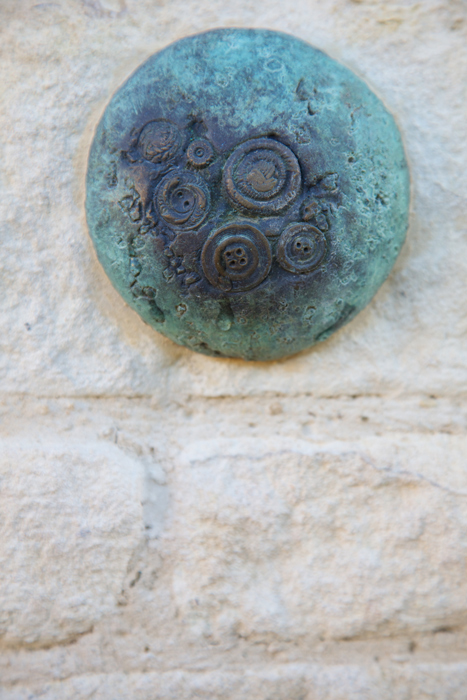 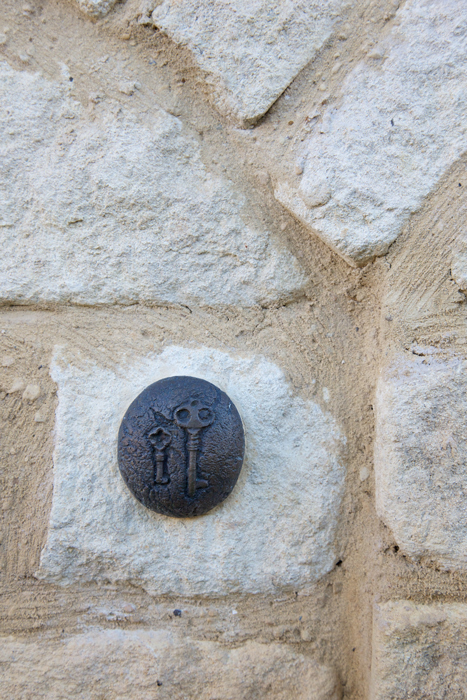 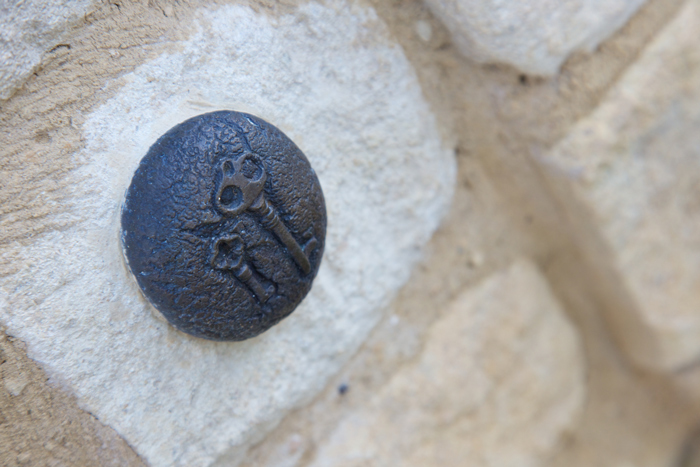 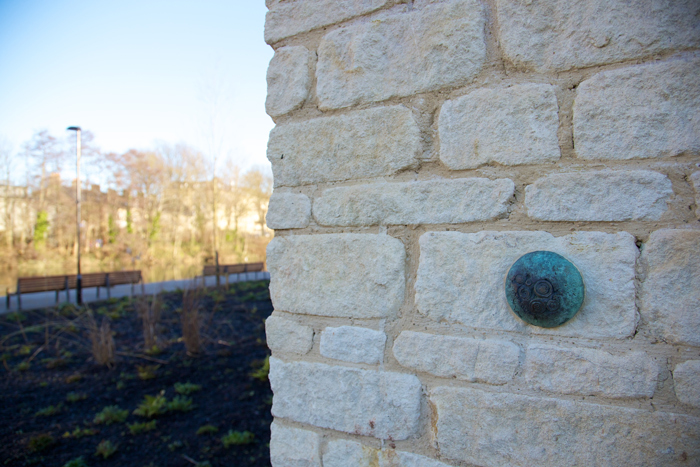 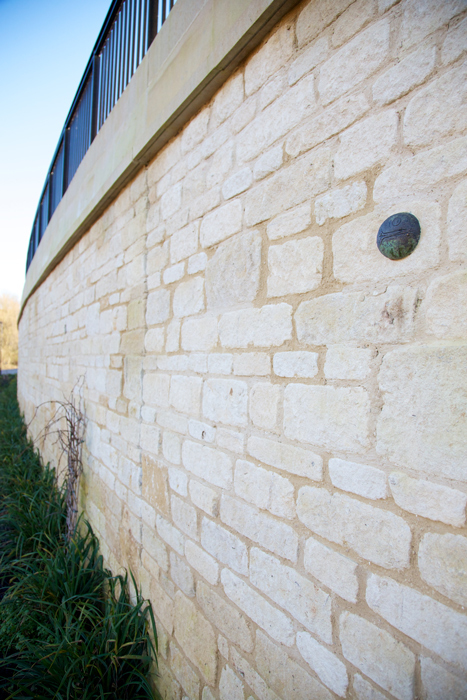 The cast pebbles include impressions of found objects that relate to history, industry and flora of the Bath Riverside site. 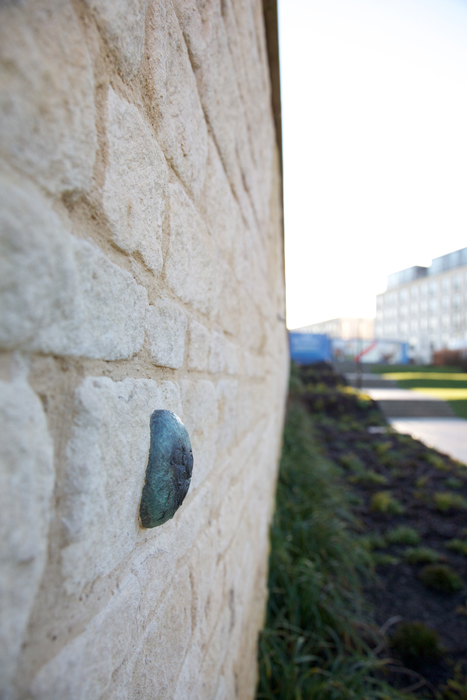 Further information about Clare can be found here.